The folklore and the culture of Brazil are formed by the combination of three different chains: European, through the Portuguese settling; African, because of the slaves; and the aboriginal, the natives of the land. 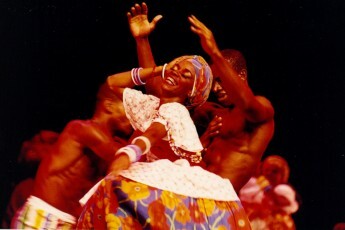 The Bahia Afro Ballet looks for picturing all those manifestation in the most pure way. Created in 1988, it is the only professional ballet company dedicated to Folkloric dance in Brazil, and has a significant curriculum of activities in its nation and worldwide performances! This modern dance company with a “Brazilian strong accent” presents a highly international recognized show during 1 hour at the Miguel Santana Theater in Pelourinho. 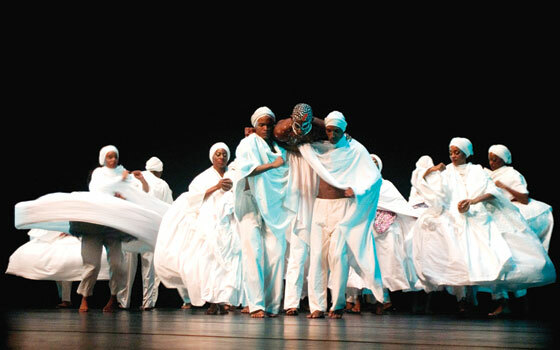 The natural improvement of the professionals on its techniques and interpretation must come from the fact that Bahia is a place where it is easy to find popular manifestations in the people’s daily life. We take the chance to have a remarkable experience by seeing a sample of all typical Afro-Brazilian traditions through the language of music and dance. Leave the hotel at 7pm to the Theater. Show starts at 8pm, lasting 1 hour. Then, we proceed to have an optional dinner on a charming Bahia cuisine restaurant in front of the theater. Afterwards, we go back to the hotel. Meet: At the front desk of your hotel, in the Historic Center at 7pm (6pm if dinner before show).